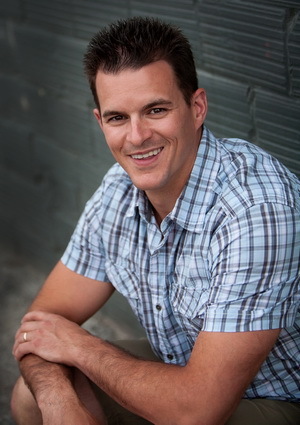 Dr. Richard “Rick” Penney is a chiropractor, father, teacher and motivating speaker. After completing his Bachelors of Science at Brock University, he graduated from New York Chiropractic College College in 2001. Since graduating, Dr. Penney has trained in the most advanced models of healing with some of the world’s top professionals. Ongoing education shows his dedication to bringing his patients the most current and best care available. Dr. Penney has appeared before hundreds of lay and professional audiences lecturing on a broad range of topics related to health, wellness, and chiropractic. He is excited to share the life changing truth of chiropractic and looks forward to serving you. Dr. Penney shares life with his beautiful wife Jenelle and their two kids, Hannah and Noah. Dr. Penney and Jenelle have been on this journey together for well over 15 years, and have spent the last eight years growing in many different areas as a family and serving their community. Dr. Penney and his family spend every possible moment they can together, sharing life; whether it’s watching their kids enjoying their activities, skiing together on the weekend, or dirt-biking on the trails. Their family philosophy is to raise their kids up to be strong and confident, and to live with a servant attitude. Dr. Penney and his wife believe they are their children’s role models, so their time together as a family is very critical in developing that servant heart. Dr. Penney and his family live life to the fullest, and they practice what they teach. As a family they believe chiropractic adjustments are the number one key to maximized health and living. 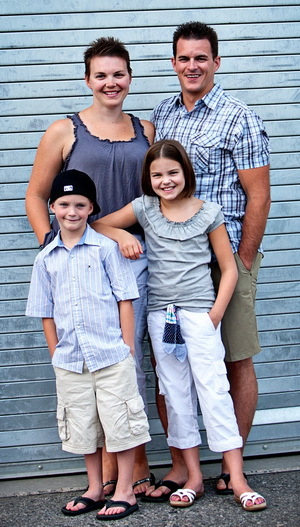 As a family they make it a priority to get their chiropractic adjustments each and every week. From the moment both Hannah and Noah were born they have been getting chiropractic adjustments on a weekly basis, and it is not an exaggeration to say they have been healthy since birth. Dr. Penney and his family live the principle that all health and all healing come from within, so much so that if his kids start to get a sore throat the first thing they do is come and get an adjustment. A complimentary consultation with any one of the OttawaWellBeing doctors is available to determine if chiropractic can help you. A chiropractic spinal examination is the only way to determine if you have spinal damage. We are pleased to offer website visitors a full chiropractic examination at our office. A consultation, examination, spinal x-rays (if required), and a doctor’s report of findings is available for only $35! Click on the link below and print the certificate that appears. Are you ready to maximize your living? Call 613-823-8466 and schedule your first visit today.